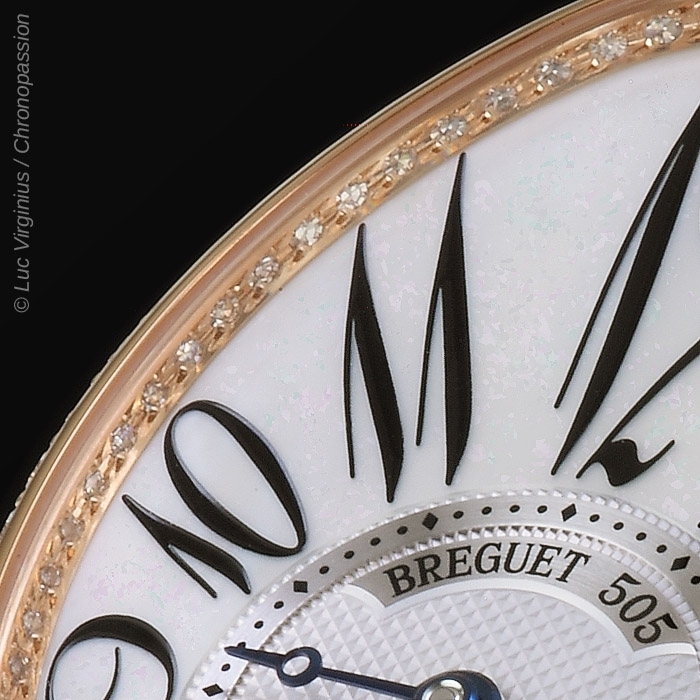 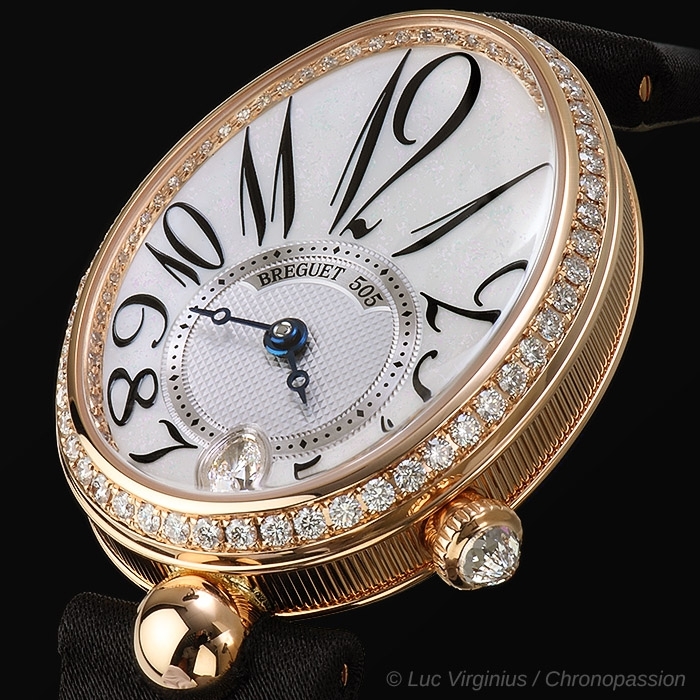 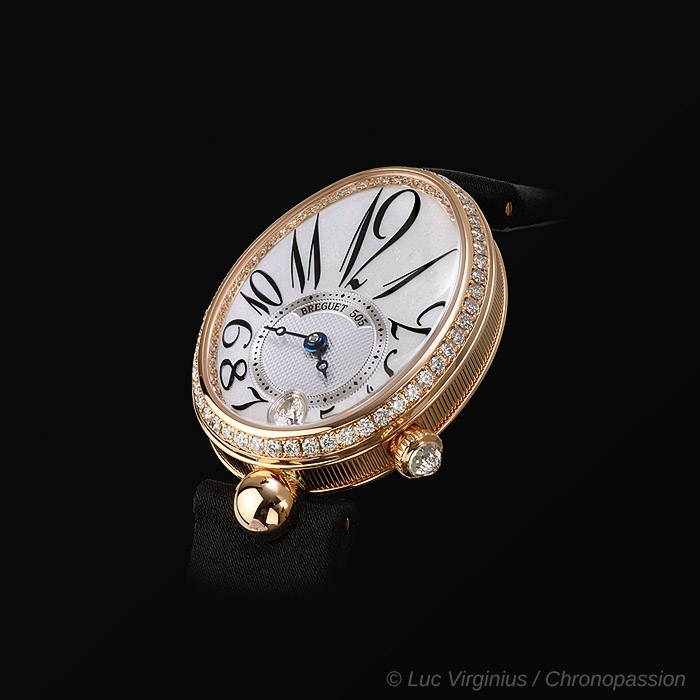 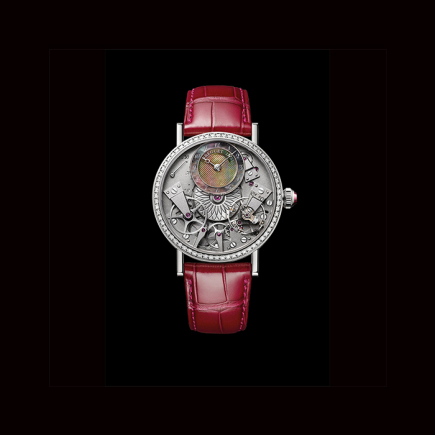 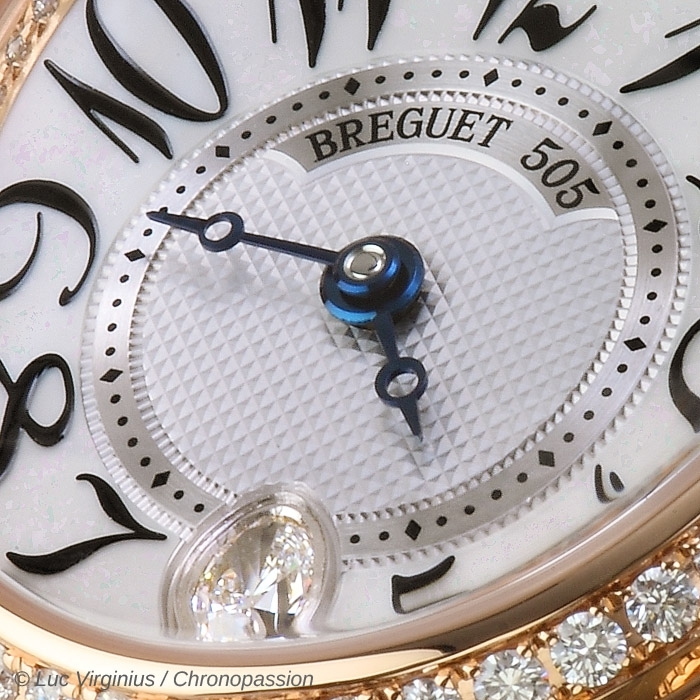 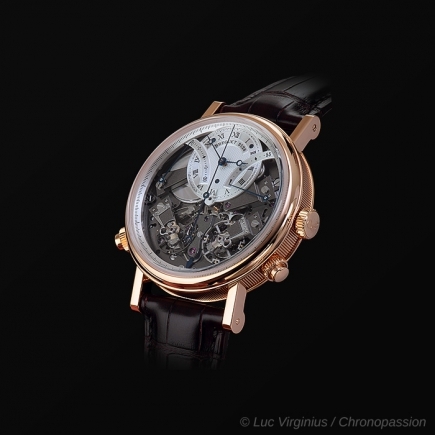 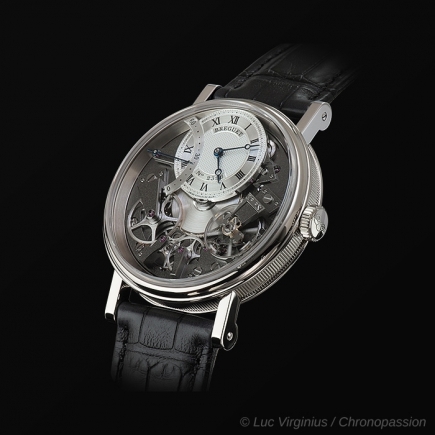 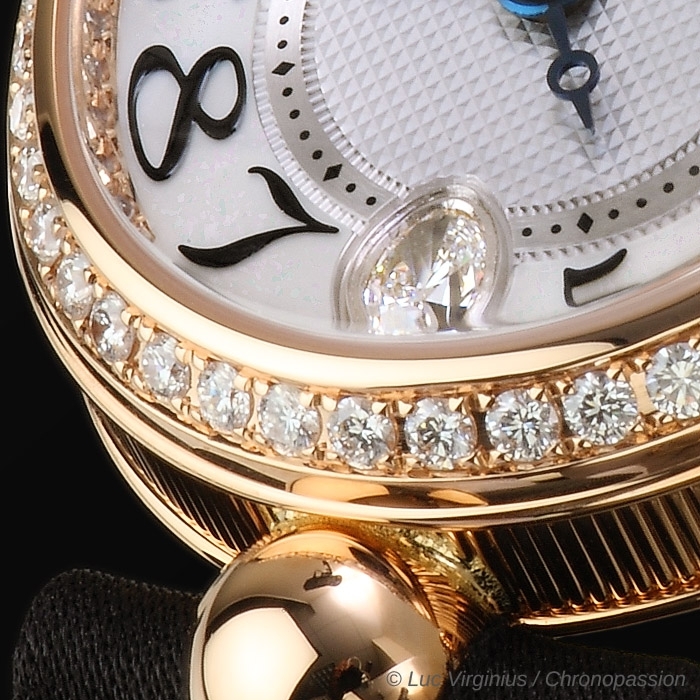 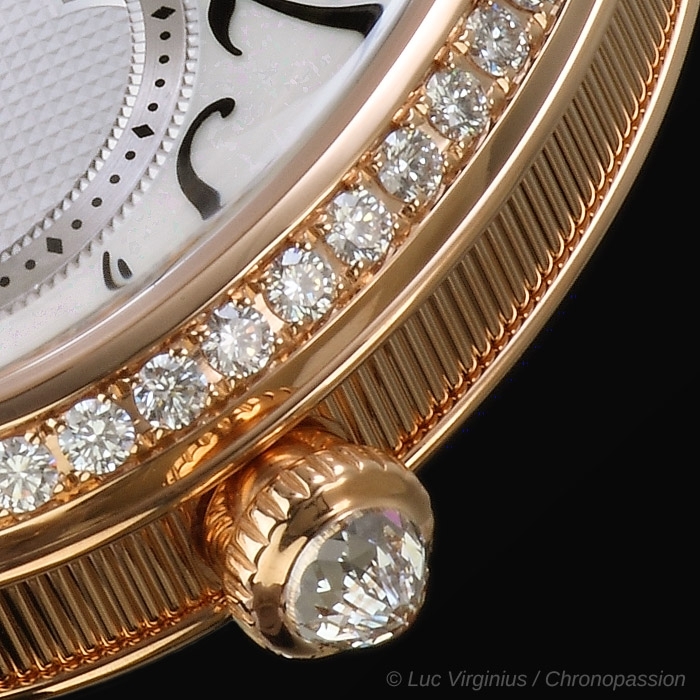 breguet | 34'200 € Tax inc.
Silvered gold dial, hand-engraved on a rose engine and partly in white natural mother-of-pearl. 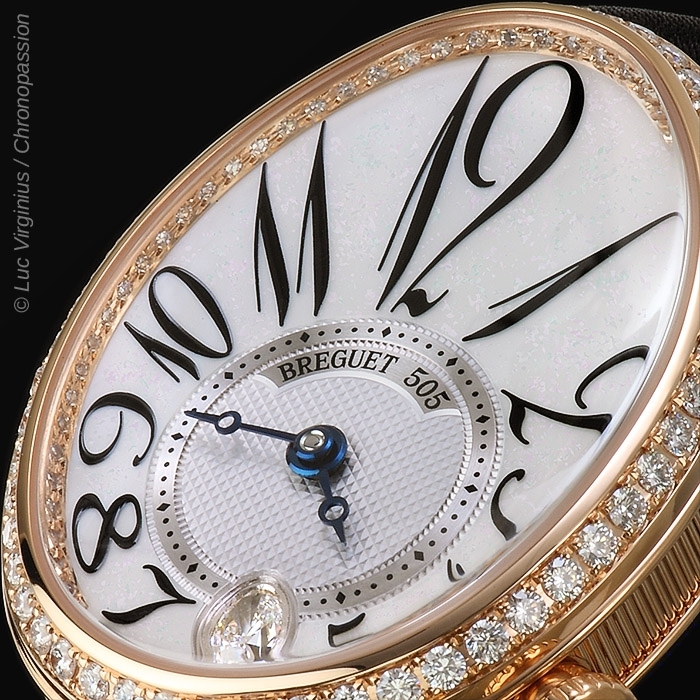 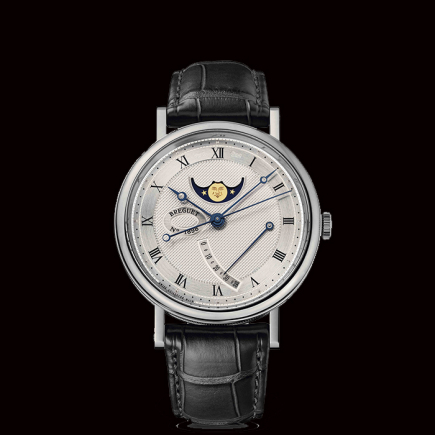 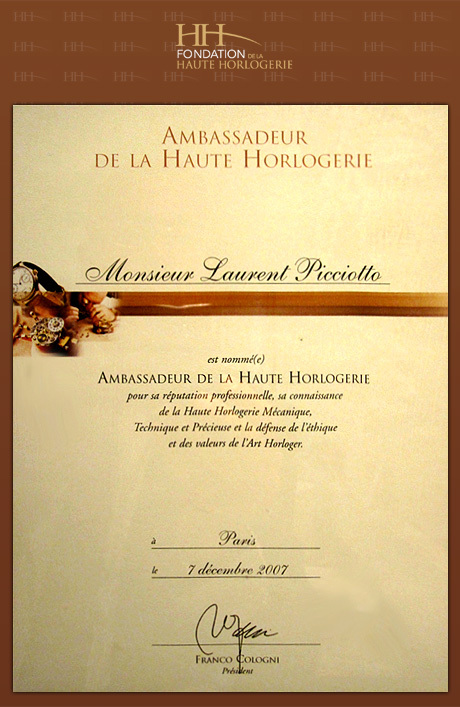 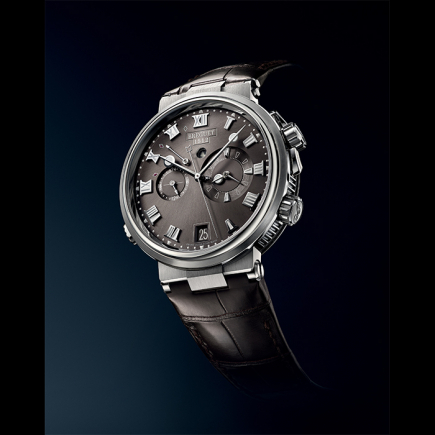 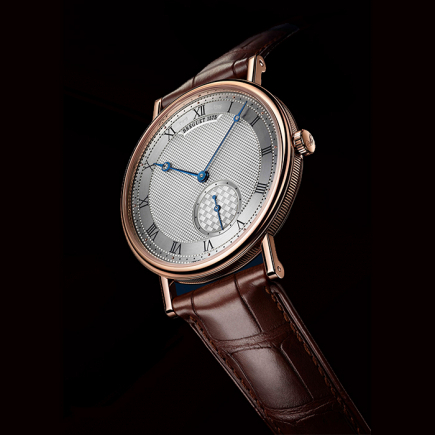 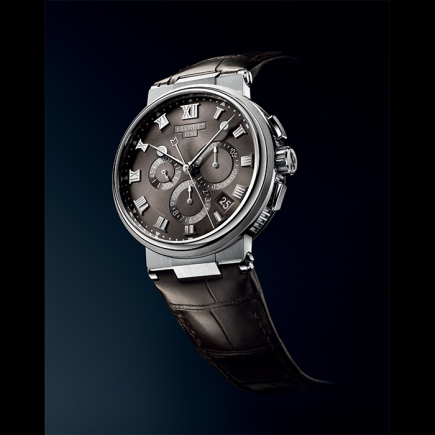 Breguet Arabic numerals. 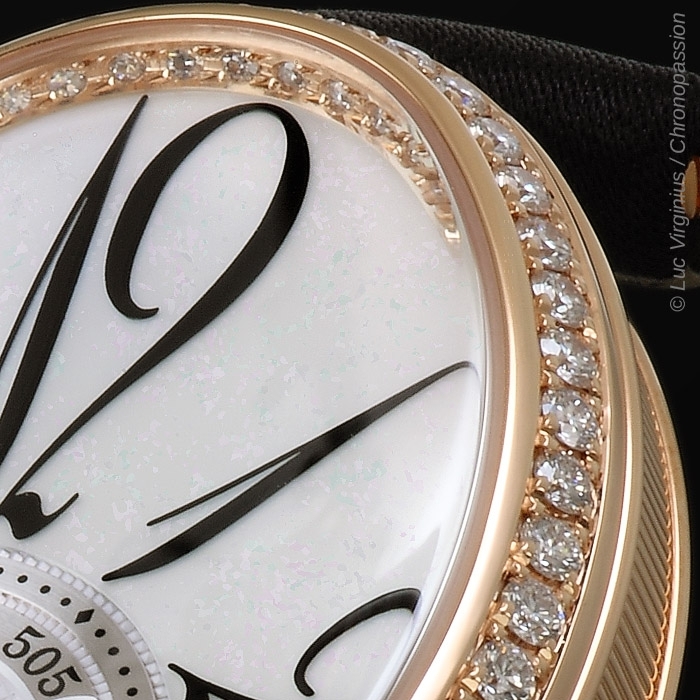 At 6 o’clock. 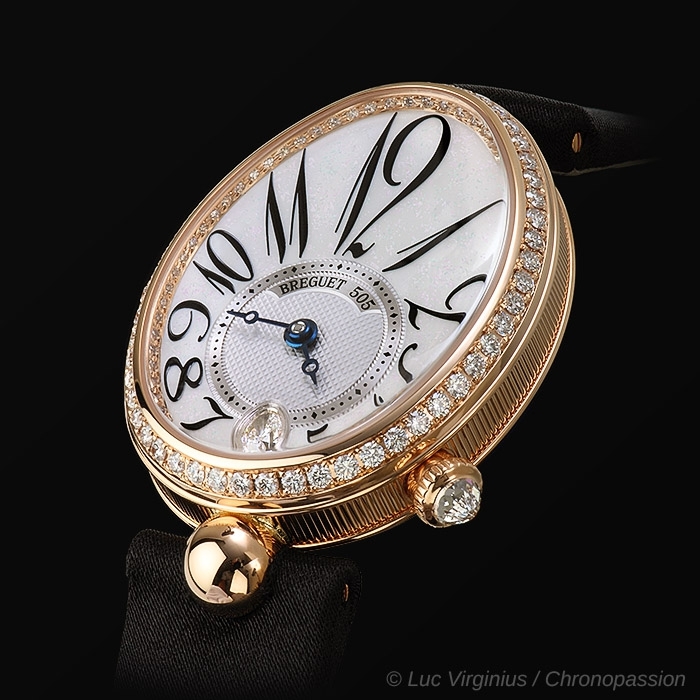 Sapphire caseback. 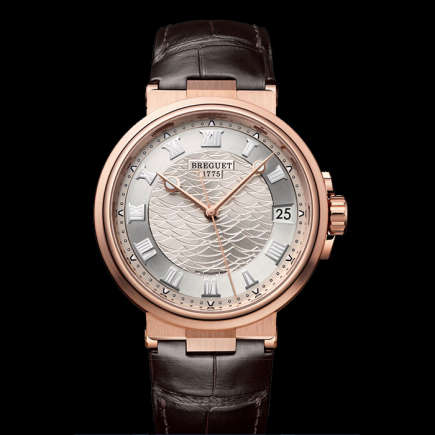 Water-resistant to 3 bar ( 30 m ).